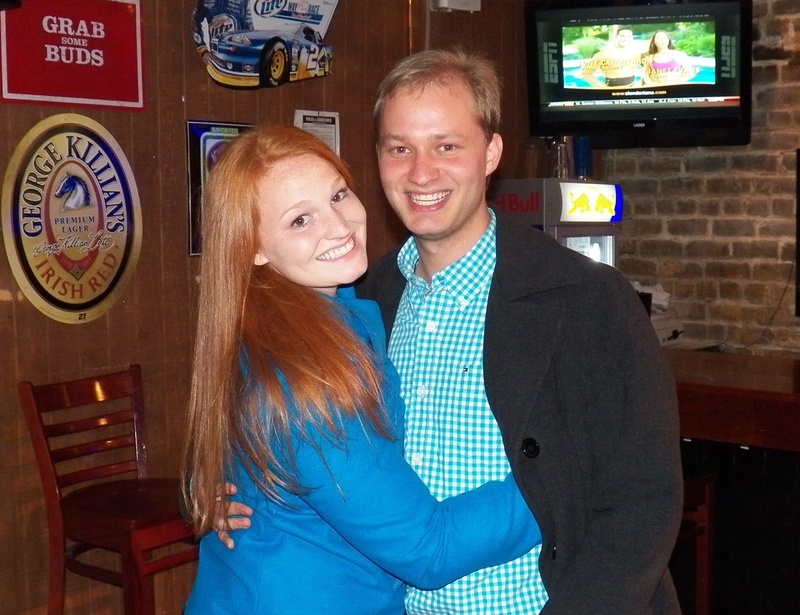 ← My redheaded twin is married! For the first time in our lives, my husband and I decided to not go home for Thanksgiving. We have been traveling so much, and we really just needed a nice relaxing weekend. My little sister lives in Charleston, only about an hour and a half away and she had to work on Thanksgiving, so it kind of worked out to stay home. My brother and sister in law decided to come visit from DC, they haven’t seen the house and I know it meant a lot to my husband. His older brother is kind of like his hero. They also brought LOLA! Our puppy loves his cousin! They played like crazy for the entire time they were here. We got the recipe for frying our turkey Good Eats, and it was so simple! We brined it for 16 hours, in equal parts sugar and salt. Ready to go with everything! and 40 minutes later, viola! With all of the food! We had a fantastic break, and I can’t wait to start this thanksgiving tradition with our family:) It was fantastic hosting! What do you say, next Thanksgiving in DC??? ?